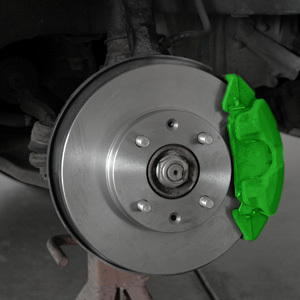 The brakes in your vehicle are essential to your safety and security, each and every day. They are used constantly to keep you and your passengers safe, so its no surprise they need servicing from time to time! These are just a few of the symptoms of bad brakes, if you notice any of these problems, don’t hesitate in contacting us for an affordable brake repair. Our team will inspect all aspects of your brakes to ensure a fully working braking system system, this can involve: brake pads, brake shoes, parking brakes, rotors, drums, and hydraulic systems. We will explain our fully proposed solution to you, so you know exactly what you’re paying for! We strive for the highest level of customer service in all of our work. With over 40 years trading, we offer a brake repair service you can truly rely on. We even repair older cars, RV’s, campers and muscle cars! We are your local source for all kinds of specialist auto repair.